Many people believe that dreadlocks require no care whatsoever to maintain and retwisting dreads is out of the scene for that matter! This could not be farther from the truth. Putting the hair into this style takes a deliberate act and a good bit of maintenance. One point to watch is the base of the hair as it grows out. It does not always dread itself. This is why it is important to know how to retwist dreads. Knowing how to retwist men’s dreads can prove to be a handy skill for those choosing to wear this hairstyle. It can also save money over time by allowing one to work on his own hair at home rather than having to pay a stylist. It might prove useful to have another person available to assist with the back of the hair that can not be seen. The first step in dreads retwisting is to secure the proper equipment and products. Most use a powerful gel to provide the needed hold to last until the hair becomes dreaded on its own. A rat tail comb can be useful to tease the hair and get it to tangle in the manner that is needed to produce dreadlocks. Bobby pins or hair clips may also prove useful. 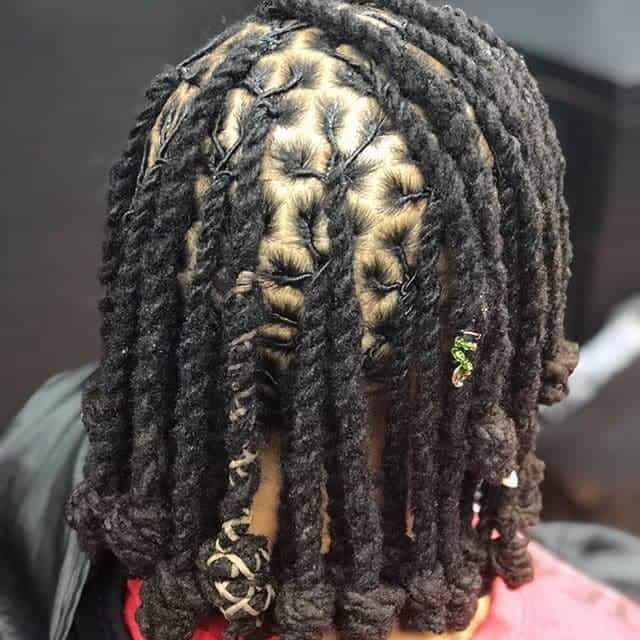 The easiest method of retwisting them is to apply gel at the base of one dread and twist it in a single direction until the hair is pulled into the original lock. Next, using both hands, rub the hair between the palms back and forth to tangle it until the base of the hair joins into the original dread smoothly. Progress to the next lock and repeat this process. Continue until all of the locks have been twisted and combined. It may become necessary to have a friend or family member assist with those in the back that cannot be seen. Use a rat tail comb to tease the hair at the base of each lock and tangle it so that it joins into the original dread. Again, it will be necessary to apply gel before combing to hold the hair in place. Put hair clips or bobby pins in the hair where the base of the hair that has been twisted joins the original lock. Continue on to the next one. Leave the pins or clips in place for a minimum of 24 hours. It is a good idea to wear a satin cap to sleep in so that the hair does not tangle in an unwanted fashion. Remove the pins the following morning and wash the hair gently to remove all product. If the retwisting process was completed correctly, the hair will remain dreaded all the way to the scalp. 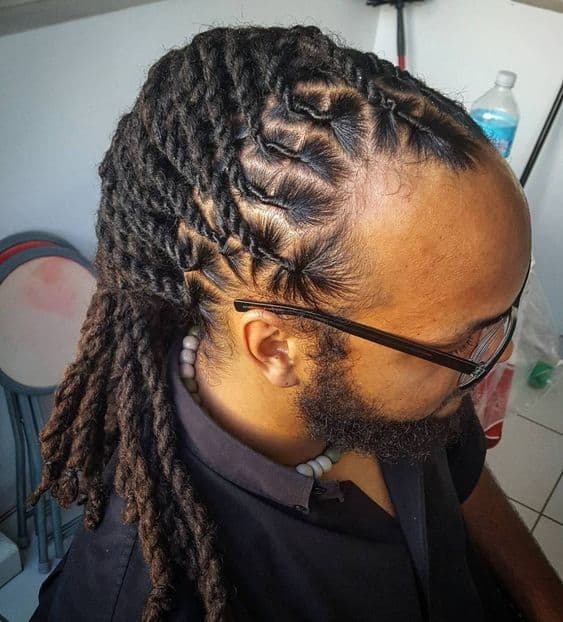 If neither of these retwisting methods for dreads seems doable, one might want to consider going to a salon to have the locks professionally re-twisted. This has the added advantage of assurance that the styling professional will use the proper products and minimize the damage to the hair, which can be a problem for some working on their own hair. Retwist dreads is a cool way of wearing the dreadlock hair. Try these retwisted dread styles for men in this season and get a unique look for you. Dreadlocks often involve very little maintenance however when new growth appears from the roots it will need tweaking to blend the new hair into the already existing lock. Ideal for: Mid length and long hair. How to Style: When you have a neat basket weave style such as this, new hair can make it look untidy. So, make sure that you retwist your dreadlocks when necessary. Experimenting with coloring along the ends of the hair is a great way to add depth and definition to your look. Having an updo is a great protective style that gives your hard-working hair a break. However, regrowth can still show through so re-twisting your updo will still be a must. Ideal for: Long and very long hair and protective styles. How to Style: Depending on your protective style, the bundles of hair can prevent you from being able to see regrowth and loose strands. Pay particular attention to places where you may be able to see your scalp. You may need to ask a friend or your stylist to help locate any pieces that need attention. Fixing loose hair at the root of the dread can be more difficult but with a hyper neat style such as this, it is necessary. Ideal for: Shoulder length or longer hair. How to Style: For longer hair maintenance is easier than cure so make sure you wear a headscarf when sleeping and treat your hair gently to avoid breakage. This retwist dread style is formed by smaller individual twists being spiraled together to form the dread. Extra attention to regrowth and new hair will need to be paid around the scalp to keep this look neat and ensure any new hairs matt into the dreads. This fairly standard ‘do is enhanced by the detailed parting across the circumference of the head. So, it is important to keep that part neat by keeping on top of retwisting any necessary dreads. Ideal for: Mid length dreaded hair. How to Style: The carefully structured lined parting is a key element to this look, so you will need to keep on top of retwisting any loose or new hair dreads to ensure the locks remain immaculate. This is a great way to start taming hair to grow dreads and this twist style is a much less expensive way to achieve dreads than having braids done. Ideal for: Short or super short hair. How to Style: When hair is this short it can be prone to coming loose so you will need to retwist your dreads more regularly. It may be worthwhile sleeping with a hair scarf for a period so that your locks do not get disturbed as much during slumber. A half-up do retwist dread is a great look for shorter to medium length hair, with the tied-up portion adding quirky volume. Ideal for: Mid length hair. How to Style: The neat twists around the temples and parting will instantly show off any untamed hairs or regrowth. Protect your hair as much as possible against breakage and check your parting frequently to keep it maintained. 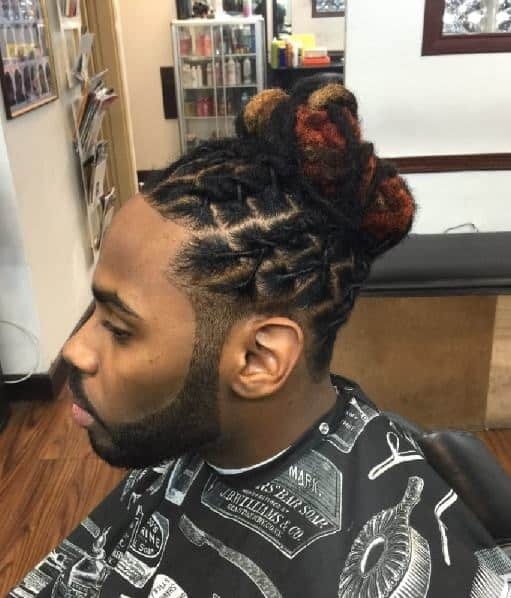 This is another great example of a protective retwist dreads style. Ideal for: Mid length or longer hair. How to Style: By forming smaller braids and then plaiting them into thicker dreads you can create a very intricate and voluminous look. Due to the elaborate weaving of this hairstyle, you will need to maintain it to look well-ordered so check for regrowth, retwist as often as needed and sleep with a hair scarf to help safeguard the hair.